BOSTON — The U.S. Navy has commissioned its newest guided-missile warship, named for a Navy pilot from Massachusetts who received the Medal of Honor for his actions during the Korean War. The commissioning ceremony for the destroyer Thomas Hudner was held Saturday in Boston. 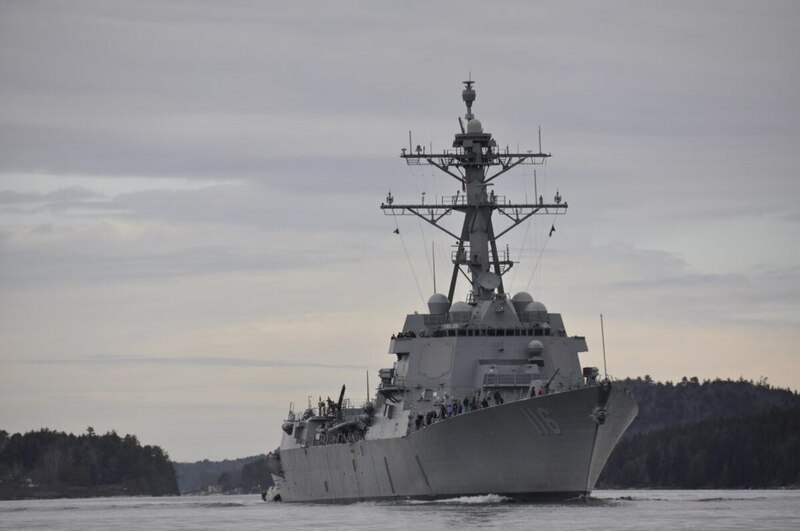 The Maine-built Arleigh Burke-class destroyer is named in honor of deceased Navy Capt. Thomas Hudner, a Fall River native and longtime Concord resident who was awarded the Medal of Honor by President Harry Truman for crash-landing his plane to try to save the life of Ensign Jesse Brown during the Battle of Chosin Reservoir in December 1950.